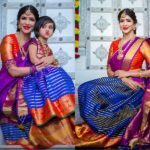 Silk sarees are the embodiment of culture, sophistication and class. They have a certain magnificence and simplicity revolving around them. Just having a mere look at a white silk saree will make you stunned and awestruck. You wouldn’t wish to shift your gaze away from it. 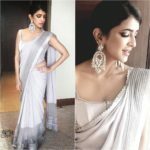 White silk sarees are normally very simple with minimal or no designs but have a grand and splendid aura surrounding it. We know now you guys must be yearning to see someone dressed in a white silk saree. 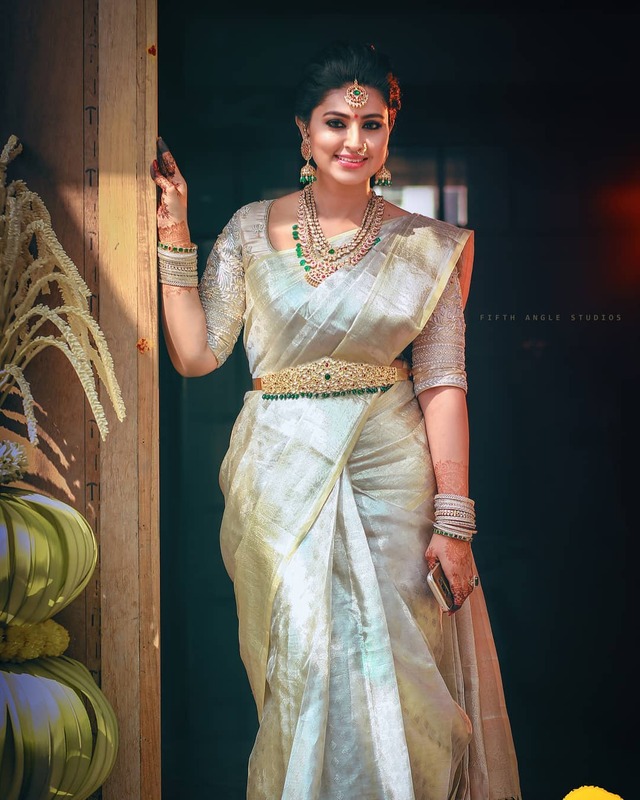 Well, here we present you South Indian actress Sneha adorning a simple yet glorious white silk saree. 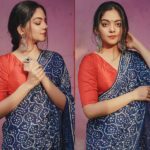 She looks gorgeous and adorable at the same time because of the way she has dressed her saree. 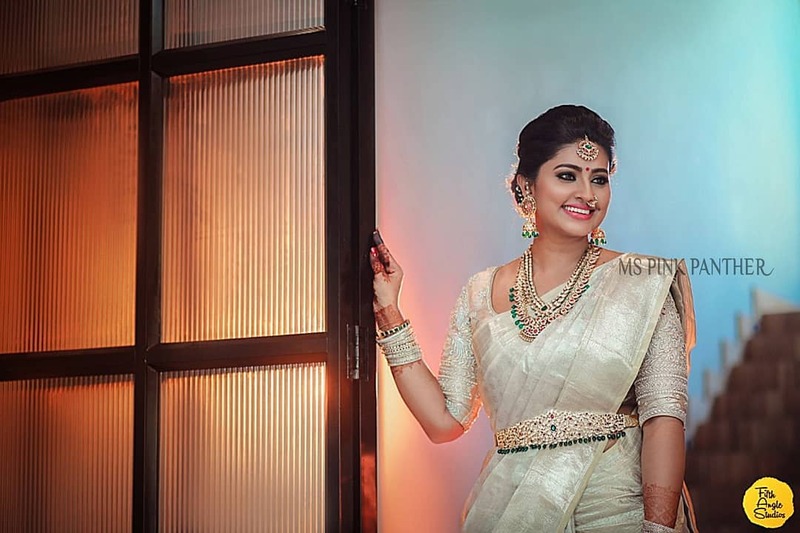 She is wearing a classy and simple yet gorgeous white silk saree. 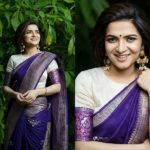 She has choosen to pair a beige-white blouse with bead work and art work on the sleeves of the saree. The heavily loaded blouse equalises the simplicity of the blouse, giving a balanced contemporary look. She has finished her look with emerald, ruby and gold studded ornaments like necklace, maang tikka and heavily studded waist chain. She has also worn many bangles to finish her look. Keeping her makeup minimal and tying her hair in a traditional way had only added to her simplicity and exquisiteness. 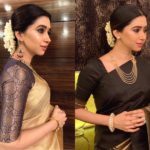 How To Wear Fashion Jewellery For Silk Sarees? Previous articleStylish Cotton Sarees Made For The Minimalist!